Today I am presenting here one of my Expert Adviser. Pip2Pips Spike Catcher one of my favorite EA for news trading. This EA is suitable for those brokers, where during high impact news time stop order distance never changed or increased. No re quote or very less re quote or off quote applied by brokers. Pip2Pips Spike Catcher is a very smooth and fast EA, this EA coding with very smart and light coding. So, if you place Pip2Pips Spike Catcher EA into a good platform, this EA will never execute unless orders. We know very well, during high impact news, every broker applied raw or wide spread, sometimes spread goes to 100 t0 400 points i.e. 10 to 40 pips. In this situation, if any order executed, that never get profit and there is a good chance to hit our stop loss. This is why I am using maximum spread in Pip2Pips Spike Catcher EA. Example, if we select it 40 points i.e. 4 pips and market spread is less than 4 pips, order will be placed and EA will be continue, but if spread crossed 4 pip (40 points), EA will automatically delete all the pending orders and will safe account. We saw maximum time, before high impact news, just 1 minute before spread goes to high and then comes to normal position, in this situation, Pip2Pips Spike Catcher will not be place any order or will be deleted pending orders and when market will return to normal spread or under maximum spread allowed, EA will place orders again. Here I am giving you screen shot for Pip2Pips Spike Catcher EA’s parameters, you can see from here, how to use this EA. All the functions are common, so you can do it easily. Distance: This is important, you have to decide, where you want to place your pending orders, normally I am using 100 points / 10 pips distance during high impact news. Suppose, high impact news is releasing, normally this type of news provide 20 to 50 pips spike. That time I am using 10 pips distance. So, Pip2Pips Spike Catcher EA will place my Buy Stop and Sell Stop order exactly 10 Pips far from current market ask+bid price. 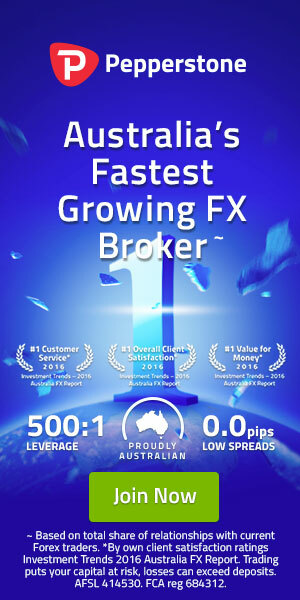 If you use 4 digit broker, you can use less distance like as 5 to 8 pips. Take profit and Stop loss depends on you. You have select the best margin as per news impact / impotency. Max Spread: Here you can use as per your own risk. Normally I am using 40 points / 4 pips. If you use 4 fixed spread account, no need to worry about this, just put the same spread what you are getting in your account. Time Filter: Important: If you use “False”, after active the EA, immediately orders will be placed and EA will start it’s work. Normally I am using False and active my EA just 1 minute before of news release. If you want to use it “True”, change it. If True, then you have to select the date and time. Click end of the line (See image), you will get monthly calendar, select the date, modify time H:M:S, use broker’s / your Meta Trader platform time. Here two option: Tstart: (Time Start) – What time order will be placed, select that time. Another is Tend (Time End) – Select one or few minutes, after mentioned time, all order will be deleted and EA will stop running. Here one more option: Reverse: If you want to grab reverse orders, you can change as True. Pip2Pips Spike Catcher EA will not place any stop order, EA will place Limit order. Example, due to high impact news, market can spike 50 pips and then normally give a reverse candle almost 20%, So, if you select Distance 50 pips and select Reverse order, Pip2Pips Spike Catcher EA will place limit orders with distance 50 pips from the current market price. Pip2Pips Spike Catcher EA can work in both way for you. Example, FOMC news time, you want to place Stop Order and also want to place Limit Orders. In this case, open EURUSD 2 chart, place Pip2Pips Spike Catcher in one chat for Stop Order and place Pip2Pips Spike Catcher EA into another chart with Limit Order set up. Pip2Pips Spike Catcher EA will work at a time in both chart. Show spread and show time left: You can use it true to see display in your chart. Other two option no need to change, keep it false. If you have any question regarding this EA, most welcome to contact with me. Please note, I did not checked Pip2Pips Spike Catcher EA in the 4 digit account. I had used this in 4 digit last 2 years ago and earn good amount and finally that broker gone to scam. My EA coding suitable for both digit account but recently changed / modify some coding to make it more smooth and then not tested In 4 digit. But this EA will give you high profit in 4 digit account if you have smooth platform. I am searching for a good 4 digit broker to apply Pip2Pips Spike Catcher EA. If you know, can suggest me, will check in the live account. Also note: Here attached Pip2Pips Spike Catcher EA I am giving you only for this month i.e. valid till February-29, 2016. I may upload again with date extension. After expiration this EA, if any new visitor read this article, you may ask for free to test via contact page as a new subscriber. Thanks a lot to stay with Pip2Pips. Wish you Happy Trading.